Why does the name Dimity appear only in a certain sort of British cosy? * I have never met (or even heard of) a real person named Dimity but one so-named occurs in Miss Read’s Thrush Green series, the Aunt Dimity series by Nancy Atherton, and Susan Wittig Albert’s series The Cottage Tales of Beatrix Potter (starting with The Tale of Hill Top Farm). I view it as a kind of code. If I read the name Dimity then I promptly make my hot chocolate, put on my dressing gown and slippers, and curl up in my over-sized armchair for a cosy treat. 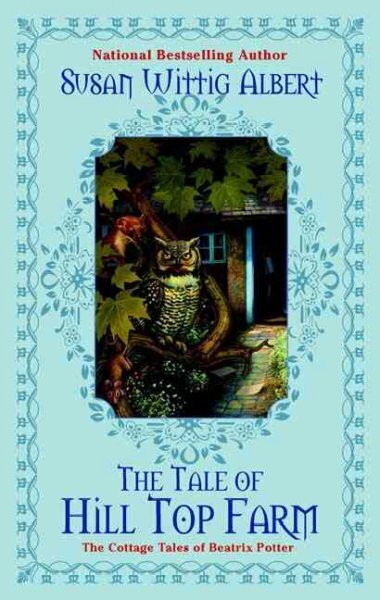 And for those readers interested in a cosy interlude The Cottage Tales of Beatrix Potter are indeed a treat. Beatrix Potter is of course a real person and Susan Wittig Albert researched her extensively and followed her life events as they are known. Beatrix Potter really purchased Hill Top Farm in the village of Near Sawrey in England’s lovely Lake District and spent increasing amounts of time there away from the overwhelming presence of her parents. But the series is highly fictionalized even though some of it reads as a travelogue as the reader learns about charming Hawkshead, and some reads as a romance as Beatrix Potter’s affection grows for lawyer Will Heelis whom Beatrix Potter married in 1913. On the shelves of the Williamsburg Regional Library these books have a small purple magnifying glass sticker showing that they are classified as mysteries, although nothing disturbing or gory happens. In The Tale of Hill Top Farm the mystery arises from the death of elderly local spinster Miss Tolliver. Could it possibly have been foul play and is it related to the inheritance of desirable Anvil Cottage? Beatrix Potter has a trained artist’s eye and is soon in the thick of village affairs to solve the mystery. Fans of Beatrix Potter’s famous books will be thrilled to recognize many animal characters such as Tom Thumb mouse, Mrs. Tiggy Winkle the hedgehog, and Kep the farm dog. Like Beatrix Potter’s famous children’s book creatures, the animal characters in The Cottage Tales of Beatrix Potter can talk, but only to each other as the Big Folk generally don’t understand them. They also wear clothes, use furniture, and Bosworth Badger XVII is even writing a badger genealogy, but like Beatrix Potter’s animals they follow their animal natures in personality and appetite. The books are nicely rounded out by a map, a cast of characters, a list of resources, and recipes (I highly recommend the Ginger Snaps!). The Tale of Hill Top Farm is the first in the series that continues on with eight titles, the most recent of which, The Tale of Castle Cottage came out in 2011. These books are great for fans of cosy British series like Miss Read. I listened to The Tale of Hill Top Farm on audio and I can only say that narrator, Virginia Leishman, did a lovely job with just the right sort of British voice. *And “cosy” not “cozy” is most appropriate since they are Very British. Check the WRL catalog for The Tale of Hill Top Farm. Check the WRL catalog for The Tale of Hill Top Farm on CD. Here’s another fantastic book I read based on my colleague Nancy’s suggestion. Like her last recommendation, The Supreme’s at Earl’s All-You-Can-Eat, this one takes a look at friendships and race relations in the South. Starla Claudelle is an impetuous, spunky 9-year-old kid who learns a lot about the world during a two-week adventure in the summer of 1963. 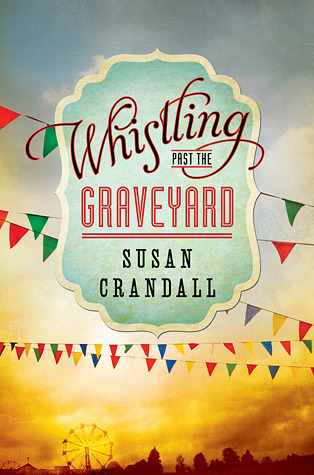 Her mother moved to Nashville to be a country music star when Starla was just 3 years old. She has vague memories of a beautiful woman with a lovely voice, and her most prized possession is a demo record her mama sent her a few years ago. After losing the privilege of attending her favorite holiday festivities because she was defending a younger girl against a bully, Starla decides to sneak out for the 4th-of-July parade and get her share of candy. When she is caught by one of Mamie’s friends, Starla reasons that she might as well run away to Nashville and live with her famous mother instead of staying in Cayuga Springs and being sent to reform school. There aren’t many cars on the road on the holiday, and Starla is beginning to rethink her impulsive action when a black woman pulls up and offers her a ride. You know from the start that Eula doesn’t believe Starla’s story about why she’s on the road alone, but Eula takes her home anyway and eventually helps her get to Nashville to find her mother. Through the course of the story Starla learns about kindness and meanness, justice and injustice, truth and lies. And the reader learns it, too, through her eyes. 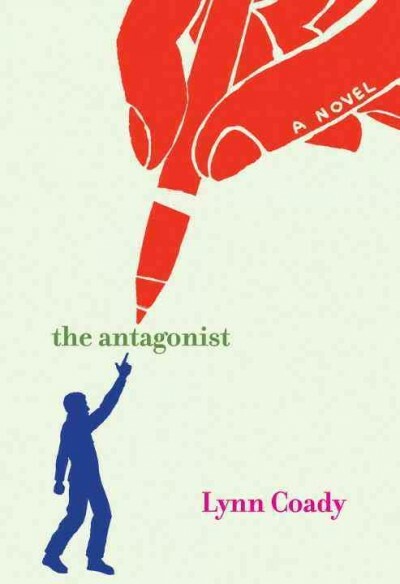 I loved the way the reader, Amy Rubinate, handled the narration of the audiobook. I particularly enjoyed Eula’s voice – soothing and calm. I looked forward to hearing what she had to say, especially after hearing Starla go on about something she was upset about. Rubinate received AudioFile’s Golden Earphones Award for her work on this book. When I got nervous that Starla was going to get in a heap of trouble, what Starla referred to as getting a “red rage,” I had to turn off the CD and pick up the book. It sounds silly, but I cared about the characters too much to listen to something bad happen to her or Eula. And no, I won’t spoil the story by telling you whether my fears were unfounded. I’d recommend this one to book groups looking for a something like The Help or as Nancy suggested, The Sweet By and By. There is a lot to discuss about friendship, family and racial tensions. A reading group guide is available online at the publisher’s website.